Home » WTF! Inflatable Interviewer Dolls? What do you think of an employer that uses a video service such as Montage to conduct its pre-screening of job candidates? I was recently asked to do this and found the experience awful. You don’t get to hear responses played back before submitting them, and there is no conversation with the interviewer. I think it’s bulltarkus. 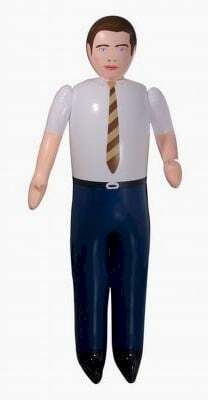 Any company that asks you to do an interview by yourself on video might as well hire an inflatable doll. If an employer asks you to invest your time to apply for a job while it avoids investing time in you, think twice before doing it. In fact, I think the decision to interview you by yourself on video was made by an HR doll that was inflated by a very lonely venture capitalist who will end up unsatisfied. It’s all overblown. Montage is a “solution” that only a puffed-up HR executive with too big a budget could love. Next time, insist that a human show up to interview you. WTF is up with venture capitalists (VCs), anyway? Didn’t we just cover a bunch of venture embarrassments in the recruiting space? The Stupid Recruiting Apps just keep coming, and you need to watch out for them. “People think it’s just an app that says ‘Yo.’ But it’s really not,” said Mr. Arbel, one of Yo’s founders. Ask The Headhunter readers will be relieved to get any sort of feedback after their job interviews. (See Question 4 in 4 Tips for Fearless Job Hunters.) But, can’t we send one-word Tweets without having an app that sends only one word? Yes? And how’s Cenedella’s last start-up faring? Today TheLadders is fighting a consumer class action in Southern New York District Court for breach of contract and deceptive practices. Word is his lawyer dolls are keeping Mr. C. out of breath. 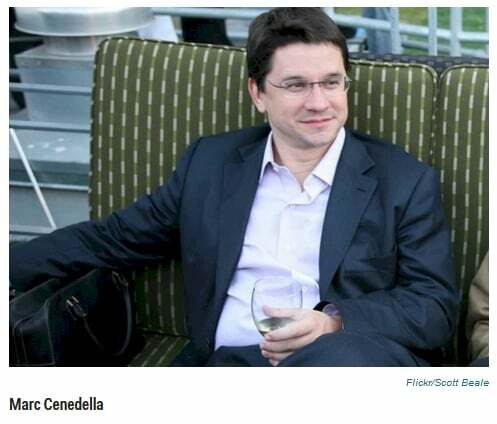 “The Ladders was about showing the intangible qualities of yourself to employers,” says Cenedella. Yah — actually, it was about letting you lie about your salary to employers so they’d interview you for “$100K+ jobs.” (See TheLadders: Job-board salary fraud?) Does Knozen somehow guarantee honesty? Then it’s impossible to keep a straight face. We’re talking about a total of about $8 million worth of phony “recruiting technology” that you might face when you apply for a job. So what’s my advice? Do what my mentor Harry Hamlin taught me: Use your judgment, and do the best you can. Then remember what my other mentor, Gene Webb, said: “Never work with jerks.” And don’t talk to inflatable doll interviewers. Are new recruiting apps helping you land a job? Who’s become more stupid — venture capitalists, or employers? Want to buy an inflatable doll from me — to send to your interviews? Help! I'm a floundering headhunter! Nick, You sum up so much with WTF. I will sum up by saying I love you and the work you do. Thank heaven for Nick! I don’t fault the investors. If they can make money selling this garbage to companies more power to them. Nick, you didn’t even get into how completely stupid and offensive Knozen is to end users. I come from health tech and angels/VCs lose money all the time–$2.5MM split up among three or more is chump change. Thank you for clarity in a sea of job application craziness. You help me to better direct my job search and my time! @Janice, @Jae: Thanks for your kind words – glad you’re enjoying Ask The Headhunter. @Steven Barr: I fault the investors. By funding stupid ideas, they corrupt the business pool. They forget that consumers/clients dictate whether they will make money – and after the silliness falls off these kooky “ideas,” they die along with the investment. Watch: All 3 will be belly up within the year. Of course, investors are free to put their money where they want; but I’ll judge them for the choices they make. as a person who was out of a job for 22 months I do fault these investors. They have no integrity. The unemployed are so vulnerable. The longer one is unemployed the harder it is not to buy into all this crap if there is ANY possibility something may help you get a job. It is just tragic that your customer base are those trying to feed their kids. What about this apparent talent shortage that is out there? If there is a talent shortage,once a valuable/experienced person is found, wouldn’t a hiring manager want to use his/her best human skills of persuasion to get the right/rare person hired? Why is everything still based on bad metrics/psychobabble/non-industry HR people and large volume/impersonal and off-putting methods? You would think that they are just looking for reasons to NOT hire, rather than hire. P.S. These inflatable dolls are probably better than interviewing via one-way video on Skype- I’ve had a couple interviews and HR screens where I answer with video and they go face-less. Gotta love it when you get fired up! Hope I have the wherewithal to turn down the “skypey” interview when it comes. @Some guy: I love picking up on anomalous information like that. It reveals underlying problems. How could employers be dying for good hires, when they play such penny-ante games when recruiting? @steven: Now there’s a high bar. It explains a lot. @some guy: Now that Microsoft is due to lay off 14k employees are they still promoting more foreign work visas? They claim there are not enough “qualified” (read cheap enuf) individuals in the US for their positions. How far afield can talent sourcing go? The best way to become a candidate, get an interview and get hired is to network and to talk to people. These technological aversions help hiring managers and so caled HR people who do not know what KSOA’s are required for high performance in particular job sets to hide behind technology and staffing firms. @Dan: HR and managers are hiding. That’s exactly what’s going on. The state of the art in recruiting is now left to a very small group of recruiters — both in-house and indepedent — that know what they’re doing. Most are hiding because they are absolutely clueless about what you understand: This is about meeting and talking with people. The really sad thing is (pathetic, really) is that such recruiters fool job seekers into using the same silly tools that hinder match-making. While companies like LinkedIn pretend their mission is to bring people together, all they really do is map key words to key words. For LinkedIn to prosper, people must stay glued to some kind of display and avoid personal contact. There’s no ad revenue in you having a beer with someone — though it may help you get a job! I second what Janice Lee Juvrud said! Let me clarify my previous post. I don’t have a problem with investors. They are after a quick buck. That’s what they do. We can anticipate their behavior and prepare. I have a problem with the HR professionals who should know better buying this garbage. This comment may make me a heretic but not all video interviews are bad. However, I do agree that interviewing yourself is just ridiculous. The first step for me in landing my current job (started in June) was a video interview. And it was done quite well. On their end they were in a conference room with a nice video conferencing setup and I could clearly see and hear all six people I was talking to. They physically identified who was speaking by raising a hand or gesturing before they spoke so there was no confusion. And each question they (or I) asked typically resulted in discussions. On my end, I have a private office in my house (I’d been telecommuting for 7+ years) so it was nice and quiet with no distractions. Plus, it probably didn’t hurt that the wall behind my desk (clearly in view of my camera) was lined with very full bookshelves and I was interviewing for a university subject area specialist librarian position. Overall, that interview was actually more pleasant than many in person ones I’ve participated in. And if anything, it may have been more negative for me than others as I only live about 20 minutes away and could have driven over but other candidates (at least the other guy that made the short list) lived out of state and so couldn’t just drive in. They just did video interviews for all candidates they were interested in regardless of location to make it an even playing field. As a side note, I’m now on the “Search and Screen” committee for another new subject area librarian so I’ll be on the other side of the camera this time. I wonder what would happen to the economy if all the lousy HR people and recruiters were fired. Without all of the useless navel-gazing conferences, wouldn’t the conference and hotel industry in Las Vegas, Orlando, San Diego, and Miami take a serious hit? Sister went through this. Dismal experience. I deal with video production so I might practicwe record a few times before the “real” thing, but more likely wouldn’t play along. Interesting HBR article recently may shed some light… author contends that the admin/tactical types are running things instead of folks with vision. That explains a great deal. Dating websites will pretend, in their ads, that they are full of über-pretty Miss Perfects that fit you in every way – you just need to register, create a profile, select a girl from those that match your interests and personality, and proceed to checkout. The advanced matching algorithms will ensure there is a Perfect One for everyone. The real world is of course more complicated. You need to meet, talk, go to good old dates and do things together to see if it works. In the real world, there rarely is a Miss Perfect – we need to compromise, accomodate to each other’s interests and personalities. But some people are so hooked on the dream of finding the perfect one, that they pass by good, nice, potential partners, because they do not share all interests or do not look like Kate Upton. On a dating site with thousands of profiles, there may always be one that fits better, right? Similarly, companies are hooked on the idea that online recruiting tools and sorting algorithms will yield the perfect candidate. In a world with millions of candidates, there may always be one that fits better, right? Just need to use the tools to trawl the big candidate pool. They do not realise that that trawl catches so much fish of various kind, that they are not able to find those they want. Needle vs haystack, tree vs woods etc. Before internet dating, people had to rely on the potential partners they met in real life. Or, through personal ads. They knew that the numbers of people they would meet was limited, so they could not be too picky. Similarly, companies knew that the number of people they got through real life and job ads in newspapers was limited, so they had to stick to those they got. Not any more. And with “fire at will”, the futile search for the perfect candidate can easily continue. You’re analogy is very good..
How many messages does it take to even get a response (whether positive or negative) from someone? And then not even all of those end up on dates, and then all those dates don’t end up in a log term relationship of some sort. How many times do we hear of companies who don’t even acknowledge receipt of the resume and go by the “don’t call us, we’ll call you”? I get all my dates by meeting girls at social events, in book and clothing stores, and in the supermarket…so I don’t worry about being matched by a computer. …and, although it took me a few months of self-employment I stopped worrying about being hired and just started getting calls and emails from former colleagues and get by on small projects. While there will always be those (HR, etc) who will judge you harshly if you are ‘unattached”, it’s much better to focus energy on being valuable on your own. It’s not easy (at all) and it’s a tough slog on many days. Inner peace (or ‘mental joy’, as the DL calls it)is tough as heck to find or keep. Click onto The Headhunter’s website and look for “The Perfect Fit, Isn’t” by David Hunt P.E. I keep this little essay on my hard drive to refer to when I’m trying to overcome long laundry lists of job requirements for relatively simple “survival” positions. I’ve been tempted to send a copy along with my resume packet on more than one occasion. The essay is truly amazing and inspiring, and mirrors my actions and thoughts when I was once a hiring manager. The employees that I held my breath on (will they even make it?) invariably became my most valuable players, and stuck with me for ten years until the company I worked for was bought out. My eternal thanks to Mr. Hunt for this little gem. Please check it out. To continue the analogue: Internet dating is useful, because it enables you to meet girls that share interests and personality, but may just happen to be in a different place. The main point is that no tool will change the fact that when you meet in real life, people always are imperfect. One important difference between dating and recruiting, however, is that in dating there are two mutual, equal, parts, while the employer usually has the upper hand in interviews, which makes candidates accept bad treatment in hope for an often needed job. It still isn’t safe to go in the water. Just when I thought I’d read/heard it all with Nick’s post about third parties doing electronic reference checks, now this one–blow up dolls, video interviews in which you the job hunter talks to himself/herself without any interaction with the company (truly, WTF), and an app that lets the hiring manager or HR tell you that you’ve been hired with a single word “yo”. First employers are using ATS, Taleo, and other computer systems to screen applicants rather than actually READING sales letters, résumés, and applications. They’ve decided to let an inanimate object do the thinking and decision-making for them based on key words. Then, if you make it through, hiring managers and HR are too lazy to pick up the phone to call your references but instead demand that you provide this intel too early in the process and to add insult to injury, now they’ve outsourced this task, giving it to third parties who have neither a vested interest in the company nor in making sure that the references check out. Many of these checks are done by a computer too. Perfect! So there’s more no thinking in the process. And now, for the icing on the cake, there’s opportunities for further outsourcing and distance–no need to actually meet with candidates in person, talk to them over the phone, or even to Skype with them in real time. Just have them answer your questions without any interaction on your part, and watch the video later. WTF indeed. And the “yo” app is even worse–it comes across as something a rude, disrespectful teenager would say, and to me, is unprofessional. I would never address a prospective employer with “yo” (family and friends maybe, and that’s a big maybe), nor a client or patron. So why is it acceptable for employers to address candidates this way? @Citizen X: thanks for the tip re David Hunt’s essay “The Perfect Fit, Isn’t”. @Dave: thanks for spelling it out in your essay. You sum up my feelings and frustrations very well, and this is exactly how I feel. @Karsten: thanks for the reminders that job hunting is like dating–you can meet someone online, but I think that until you meet him in person, you really don’t know him. And even with dating, you don’t ask someone to marry you on the first date because, as one of my uncles said, “she meets all of the requirements”. You could meet someone who does meet all of the requirements, be it for dating/marriage or for employment purposes (right age: check; right height/weight/hair color/eye color: check; right race: check; right religion: check; right level of education: check; etc.) but she could still be the wrong girlfriend/wife for you. And sometimes the girl who doesn’t meet all of your requirements (she’s got brown hair and you only date blondes, she’s a little heavier than you like, she’s not as pretty as your exes, she has more (or less) education than you, she doesn’t share your faith, etc.) but the two of you click and get along very well. That’s why you meet in person, get to know him/her and don’t eliminate because s/he doesn’t meet every single one of your requirements. @Nick: thanks for your answer to the question, and for the warnings. I get more scared because finding a job is becoming more and more impersonal, with computers making all of the decisions. I won’t just walk away from one of these apps or non-personal, non-interactive video “interviews”, I’ll run (screaming). I agree that some video (and phone) conference calls are fine, provided that there’s interaction between you and them. If it is a one-way “conversation”, then it is a waste of time. @some guy: I think you’re right. Looking at this behavior, it is as if the employers, who have vacancies they at least should if not need, to fill, have decided to booby-trap the whole process. Create as many obstacles as possible, refuse to talk with candidates, don’t provide enough information to candidates or to recruiters/headhunters, then complain that there’s a talent shortage. Sure there is–they’ve built the castle, complete with drawbridge, crenallated windows, dungeons, and a moat complete with alligators and dragons, and knights equipped with swords and battle axes. The job hunters are supposed to get through the castle’s defenses in order to get interviewed–but the owners have set things up so that as many people as possible get stabbed by the knight, fall off the drawbridge into the moat to get eaten by the alligators or scorched to a crisp by the dragons. If they make it a little further, they get thrown in the dungeons. I get that employers don’t want to shift through 3,000 résumés for one job, but then don’t advertise on job boards, or don’t advertise at all–go through the personal connections the hiring managers have with others in the industry. That would simpler, less expensive, and they wouldn’t need moats and dragons to keep those they don’t want away. I talked to a prospective employer in March, and he complained about the “talent shortage”. This same person, after getting an internal recommendation for me, talking on the phone, and I offered to meet for coffee, told me that I would have to apply online before anything could go forward or further. Their online application was so complicated and so long with far too many requirements that I called him back and told him the problems I experienced (system wouldn’t let me create an account to apply because I had to include my first name and someone else already created an account with that name; after getting HR set me up as a guest, the requirements were so onerous and wouldn’t let me move forward unless I completed them. The names, addresses, phone numbers, and email addresses of all former supervisors were required; one of my bosses from a job is dead, and we didn’t have email back then, and there was no place to indicate this; ditto for companies that went belly up). I let him know how complicated their system was, and told him that while I was interested and that I could do the job (he knew that and had invited me to apply), I couldn’t get through their obstacle course and was getting eaten by the alligators in their moat. I thanked him for his time, told him that if he changed his mind and the system to give me a call, and wished him luck. Last week I saw the job posted again, and heard from another contact in that company that they still need someone and the CEO is complaining bitterly about the talent shortage in this country. Now, if you go to apply online, there’s no link for you to contact HR and they’ve removed that information from their website, so you can’t find a phone number or email address should you apply and not be able to move forward. They won’t accept a résumé sent around HR. The problem isn’t a lack of talented candidates, but they are getting in their own way when it comes to hiring. A very simple fix for this problem. Charge your MANAGERS (the people who are responsible for the hires) with the hiring AND RETENTION of their staff. Expect them to spend 15% of their time talking to candidates, filling their pipeline, and having 5 people ready to interview at all times. Gee – this is how companies used to be run. Now I get paid big bucks to re-invent the wheel. Nick – can you remove this post please. Changed my mind in posting it. “Yo” – he had to have lifted this idea from from a Big Bang Theory script!